Migrating birds are magnificent. May 12 marked World Migratory Bird Day, and this year’s theme is to celebrating how we can protect birds every day of the year. One critical step for conservation is helping birds avoid striking the windows of our homes, since millions of birds die this way every year. Place decals no more than two to four inches apart, since birds may try to fly through larger gaps. The idea is to make windows look like barriers. Commercial stickers with designs intended to scare birds away — like spiderwebs or the faces of predators can be effective. You may think you’re giving your plants a treat by placing them in direct sunlight, but birds could be attracted to them and not notice the pane of glass directly in front of them. At least partially close curtains in front of sunny windows to reduce reflections. This has the added benefit of keeping your home cooler during the hot months. 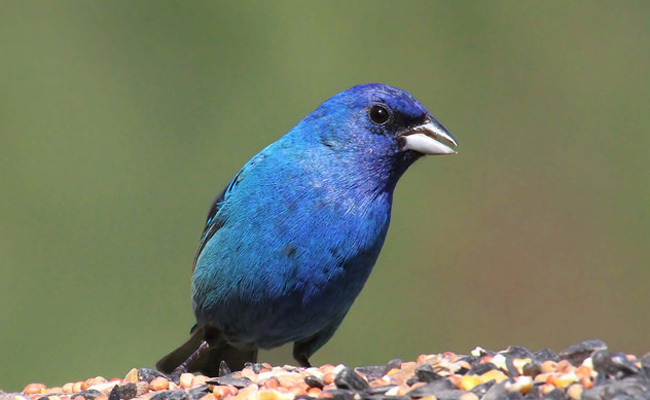 If a bird sees the reflection of your bird feeder in the window, it may go for that instead of the actual feeder. Alternatively, attach the feeders to the window with suction cups. External screens can break up reflections or at least slow birds down before they hit the glass. Many new homes are built with screens on the outside nowadays. Netting might not look aesthetically pleasing, but it is one of the most effective ways to deter birds. If you don’t want to install netting or screens, consider other objects that will scare birds away Shiny and reflective items like tin foil, aluminum pie pans or strips from a garbage bag should do the trick, letting birds know to stay from the scary, moving material. ABC Bird Tape is one tape that is easy to apply and remove. Applying tape will help reduce the possibility of a bird crashing into your home during spring and fall migrations. This is an option if you are building or remodeling a home. Ornilux bird-safe glass has a special layer reflecting a UV spectrum that is visible to birds but not to people. Growing trees near glass reduces the likelihood of bird strikes by obscuring reflections on the window panes. Slatted screens will change the open reflective panes of your windows into patterned panels, thereby reducing the risk of bird strikes. Poaching! Poachers, who are they? The Unicorn of the sea, Narwhal. What do you know about the Barreleyes?